Canadian Gothic, originally uploaded by trulysomething. 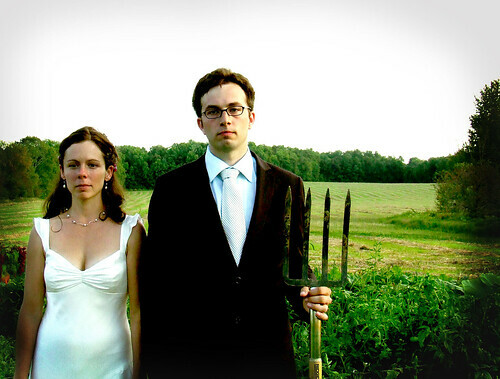 In this case, it's Canadian Gothic, but what a cute idea for the bride and groom to pose wiht a pitchfork looking just like the painting. The bride has her hair long without the veil nad the groom is in a suit tuxedo. Great ideas for farm or country weddings!